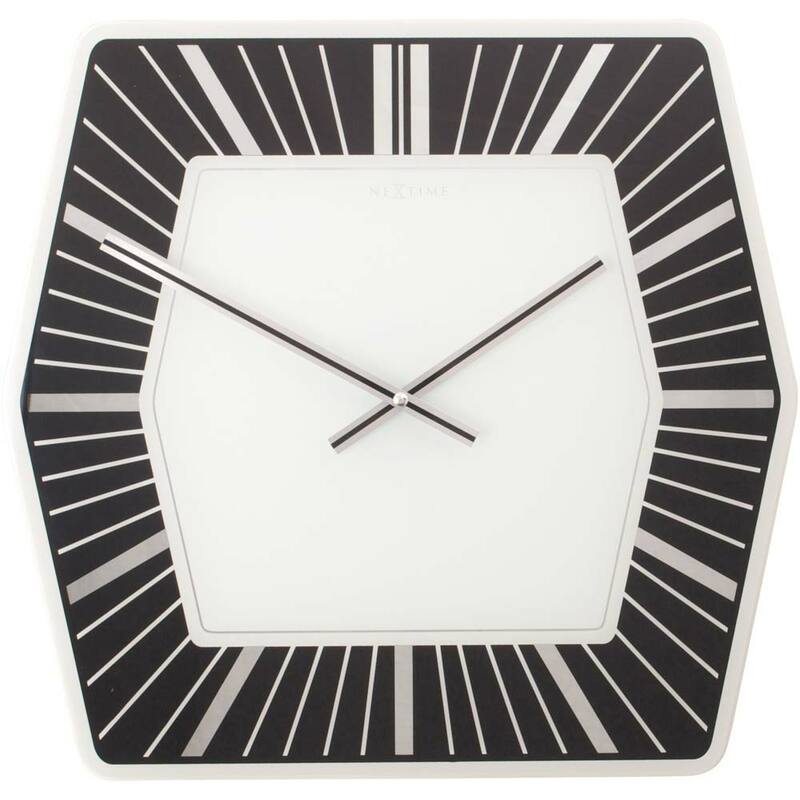 This special –shaped glass clock gives every room a chic and stylish look. The polished hands with a black stripe make watching time even more easy. 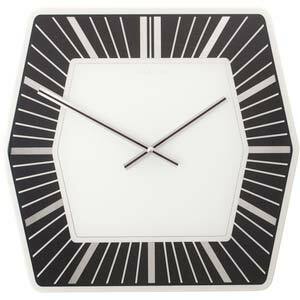 And the mirror minutes stripes give the clock an extra touch of luxury. Also available in silver.